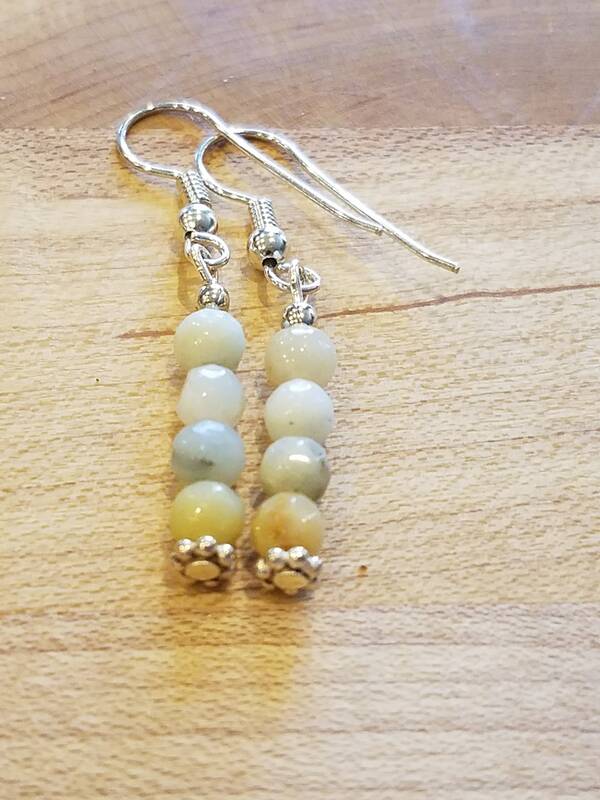 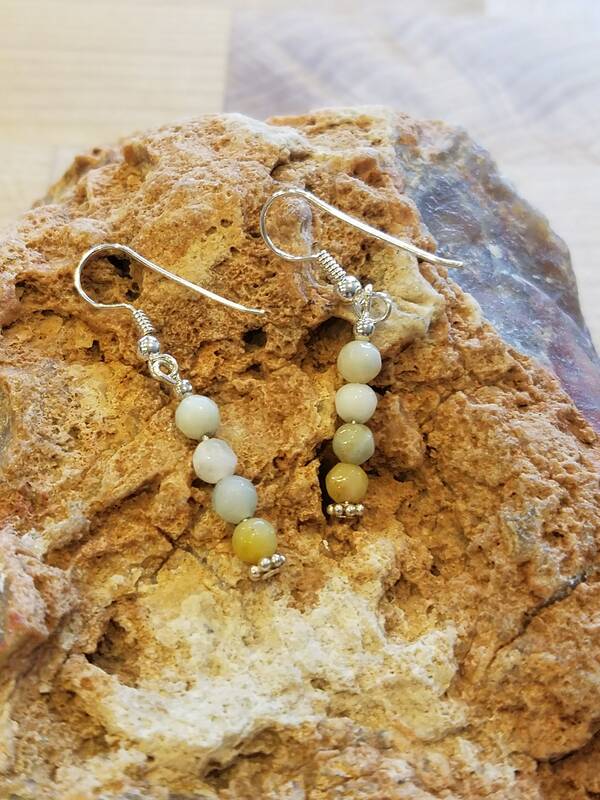 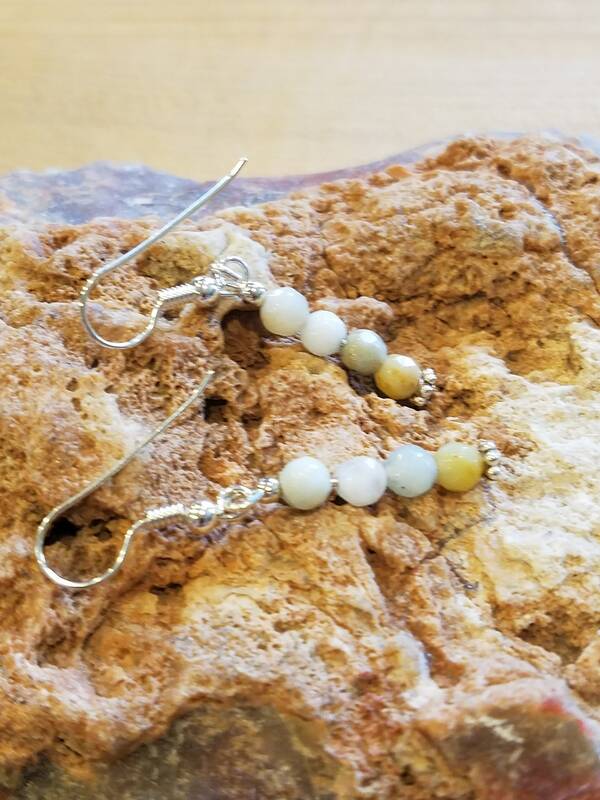 Got to have these sterling silver and agate beaded earrings. 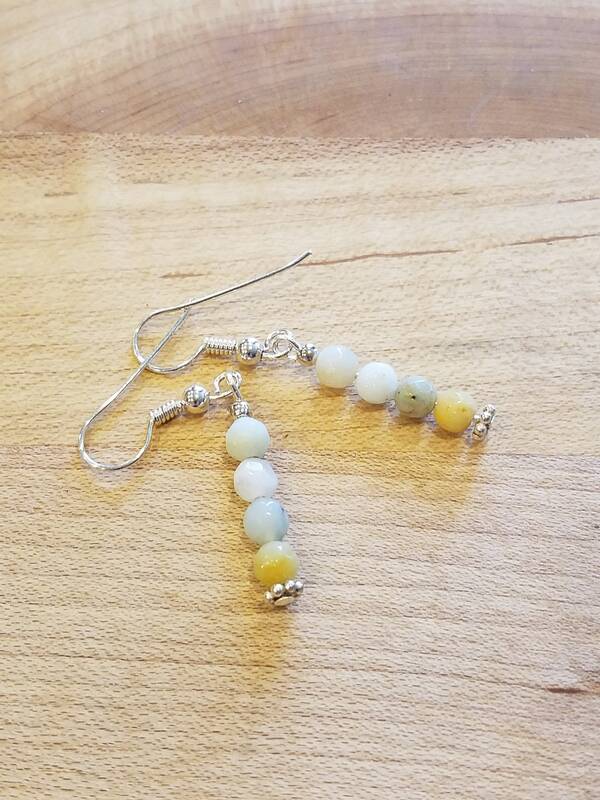 Soft earth tones and soothing colors to go with any outfit. 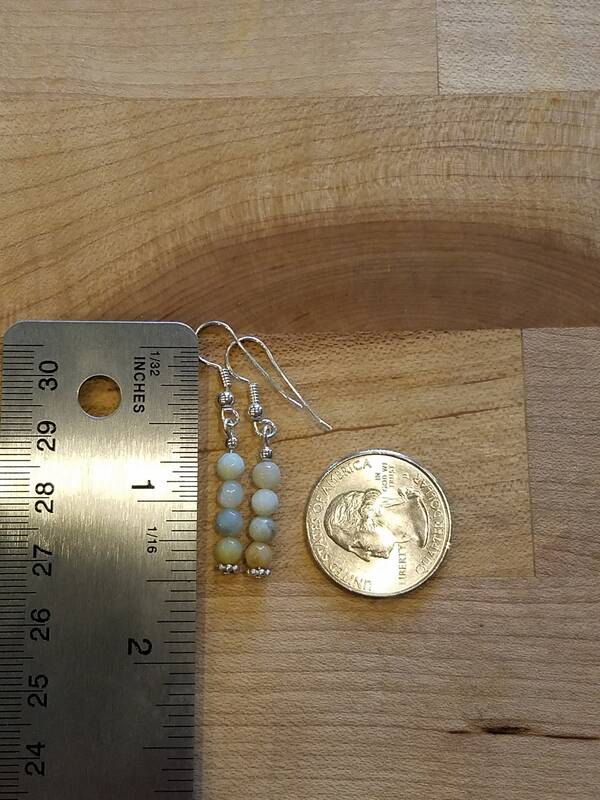 They dangle about 1.5 inches long.